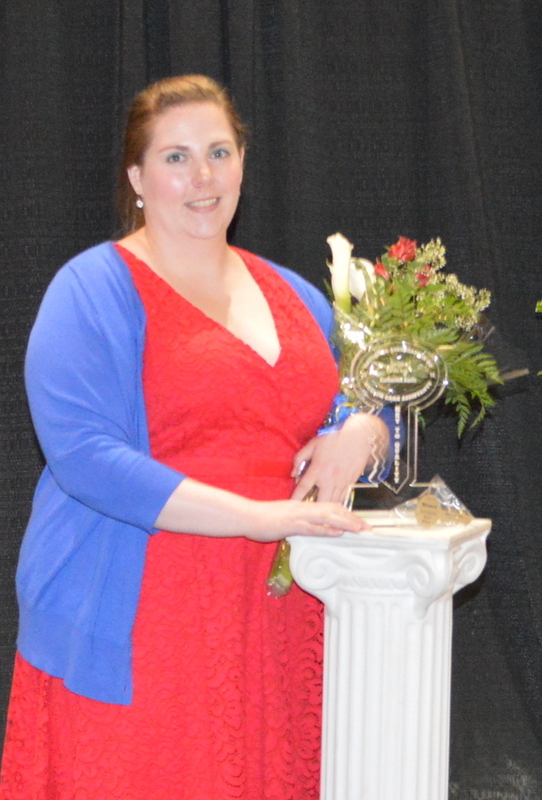 Katherine Davis, Certified Nursing Assistant (CNA) at Crestview Specialty Care in West Branch was named the National Association of Health Care Assistants’ (NAHCA) Preceptor of the Year at NAHCA’s national annual conference held in Des Moines on June 2. The CNA chosen for this award must have successfully trained new nursing assistants and is a dedicated mentor with qualities such as patience, compassion, knowledge of job skills, nurturing attitude, positive outlook and good communication skills, which are necessary for effective instruction. Katherine has also organized gathering donations during the holidays so that each resident has a nice gift and groups of children to create hand-made cards for other holidays. She is fully committed to contributing in any way she can,” Mercer said. Crestview Specialty Care is a 65-bed skilled nursing facility offering rehabilitation services, skilled nursing care, long term care and hospice care. It is owned and operated by Care Initiatives, Iowa’s largest not-for-profit senior care provider. With headquarters in West Des Moines, Care Initiatives and Care Initiatives Hospice operate 55 skilled nursing, rehabilitation, Alzheimer’s/dementia, assisted living and hospice locations throughout Iowa. We are committed to providing compassionate care for Iowans through all of life’s health transitions. For more information about Care Initiatives, visit careinitiatives.org or call 641.939.3491.